cookies, milk tablets , canned foods, etc. B) Usage: soft drinking,tea etc. 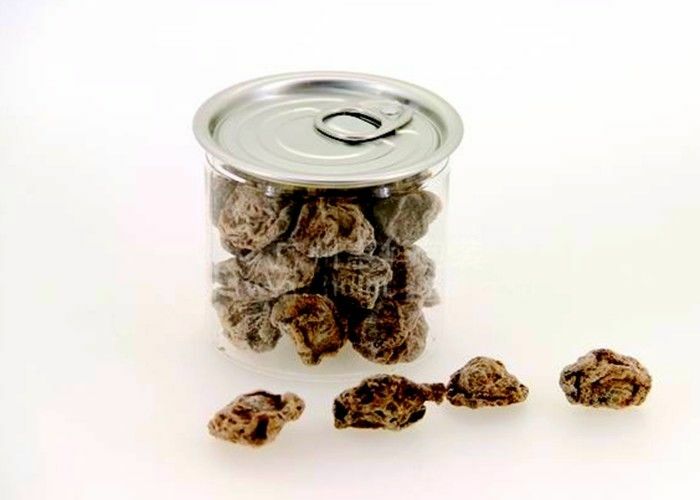 D) Feature: non-toxic,tasteless,good security,good transparence, good sealing, good barrier properties against oxygen. Available structure: Different size and shape are available, customized size and printing available. 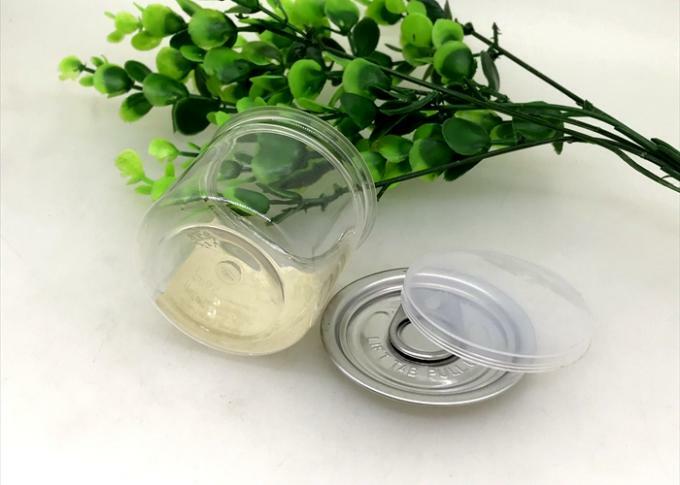 b) Material: food grade PET(plastic body), aluminium easy open lid (0.23mm thickness); Semi-clear PE overcap. 2. )The sleeve need to be shrunk after filling and sealing the caps. 3.) you can also choose silk printing on the body directly when it's only 1 color. Q: Hello, Can you help me ? Is the PET can used for hot filling? A: Dear, PET material is not workable if the temperature is higher than 40’c .colad filling is better , pls well noted . Q: well ,is you manufacturer or trading company ? 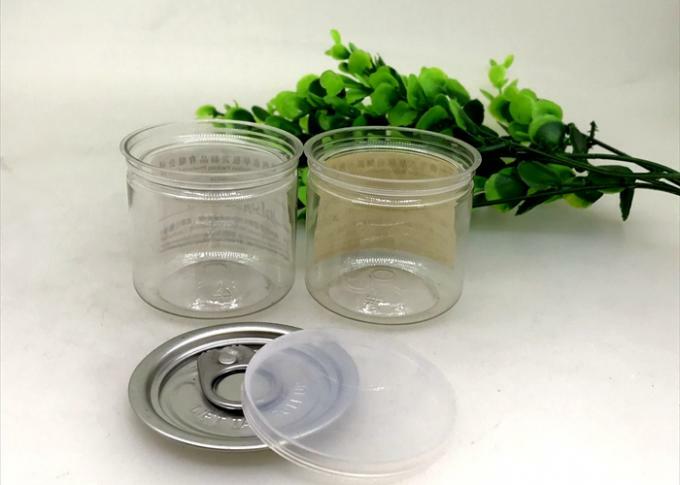 A:we are professional packaging manufacturer ,who has 10 years experience in this field, no dust workshop, and our factory has passed ISO9001 and QS certificate,quality can be ensured fully. 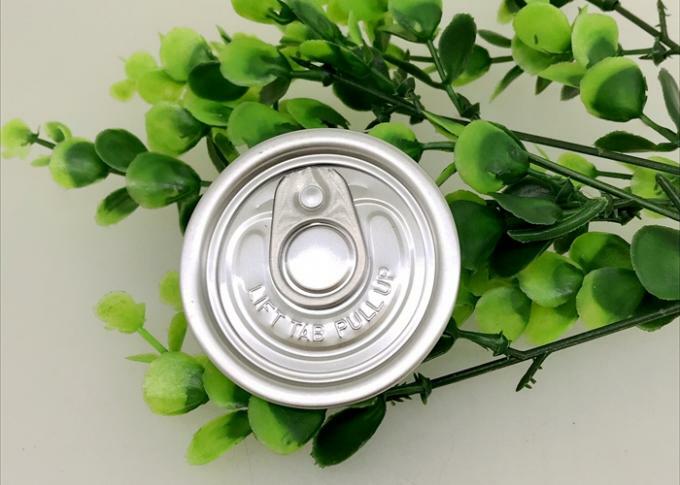 Q: How long time for 10000pcs 80ml pet Easy open can? A: 7-15 Days is okay after order confirmed . Q:Which shipping partner is available to UK? A: DHL, UPS, TNT, FEDEX, EMS are okay. Which shipping cost is cheaper and speed is good, i will suggest it to you. 3-4 days can arrive in UK.